2)To repair the damage rail thus increase their life. 3)To build up worn out points and rails on sharp curves. 4)To build up the burnt portion of rail head. 1)It increases the life of rails. 2)It reduces the creep due to increase in length of rail. 3)It reduces expansion effect due to temperature. 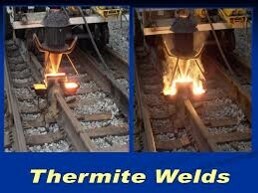 4)Welding facilitates track circuiting on electrified tracks. 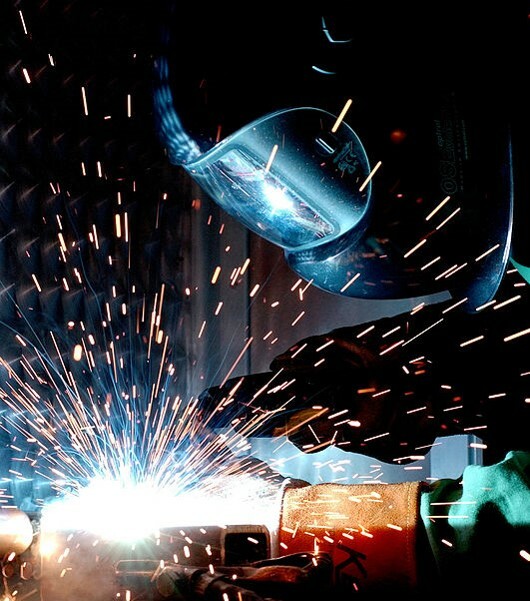 5)Welding rails provides on large bridges for the span length are helpful as they result in better performance. 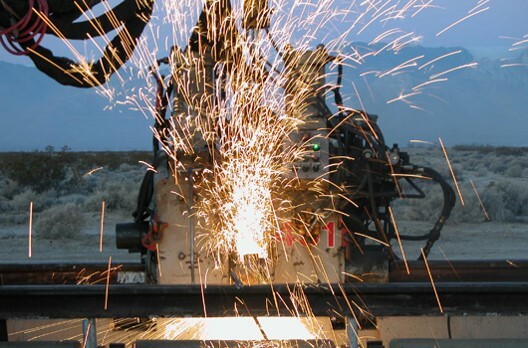 6)The cost of track construction by welding of rails decreases due to less number of rail joints. In this method the current is passed through the rail and at the same time through a thin rod known as electrode. As the electrode approaches the rail ,an electric arc is formed and with its heat the electrode gets melted and finally the molted metal of the electrode gets deposited on the rail providing a firm bond. In this method intense heat is produced by combining the oxygen and acetylene gas which melts the electrode and deposits the molten metal on the rail. 1)The length of rail is governed by the facilities available for the manufacture of rails at reasonable costs. 2)The length of rails should be such that they can be transported using longest wagon available with railways. 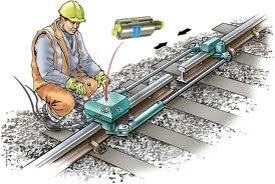 3)The length of rails is also limited by the available machinery facilities for lifting and handing the rails.